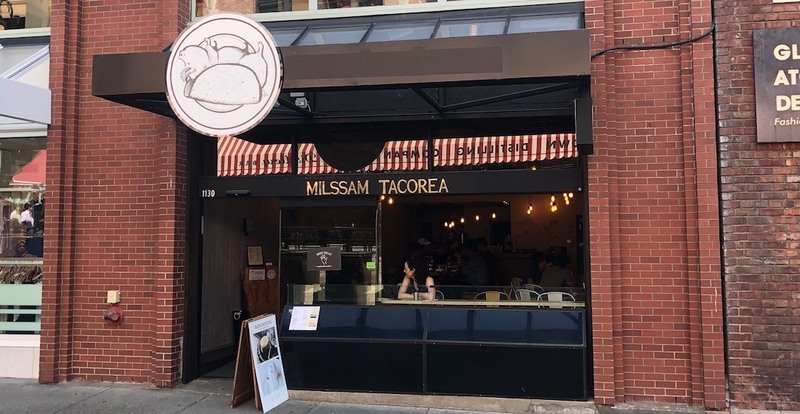 Yaletown’s newest eatery, Milssam Tacorea, has officially opened its doors. The 1130 Mainland Street restaurant eatery quickly replaced Zend Conscious Lounge after it closed its doors in July. The Korean Mexican joint offers a menu full of grub like tacos including a spicy pork, cauliflower, BBQ red chicken, kalbee brisket, seafood ceviche, and a ‘Milssam’ variety (beefy belly, onion, lettuce, gochujang vin). Milssam Tacorea also has several share plates like kalbee nachos with kimchi, cauliflower salad, apple kimchi salad, and Korean black bean mole to name a few. For sweets, expect dishes like Mr. Osmad’s souffle cheesecake made fresh every 30 minutes, hottok (churros from Mexico, Korean pancakes), along with Yuzu Snowman. This spot offers $3 tacos from 3 to 6 pm, so if you haven’t tried it yet that’s a great time to plan to head here.